Dr. Smiley was born and raised in Savannah, Georgia where he attended the public school system graduating from Savannah High School in 1969. Upon graduation he entered the University of Georgia on a football scholarship and graduated with a Bachelor of Science Degree in Chemistry. He recieved his Doctorate of Medical Dentistry from the Medical College of Georgia School of Dentistry in June 1981. Dr. Smiley is an Honorable Fellow of the Georgia Dental Association and a Fellow of the American College of Dentist. He has been honored internationally with Fellowships in the Pierre Fauchard Academy and the International College of Dentist. These rare distinctions signify his commitment to continuing education which he regularly pursues through memberships in the American Dental Association, the Georgia Dental Association, the Academy of General Dentistry, along with regional and local dental societies to ensure the finest and safest dentistry available. 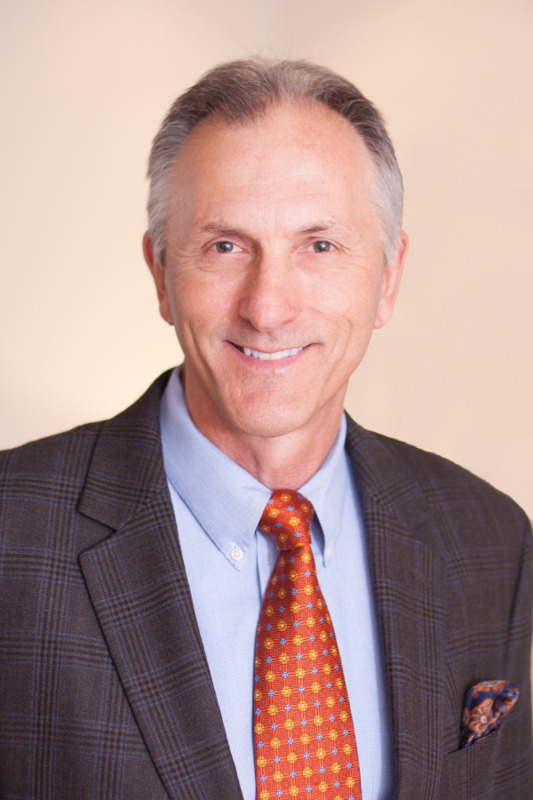 Dr. Smiley has practiced dentistry over 30 years with an emphasis on Cosmetic Dentistry which he has done advanced training in with Dr. Thomas Trinkner. Dr. Smiley was past president of the Savannah Dental Society, the Southeastern District Dental Society, and past member of the Board of Trustees of the Georgia Dental Association. He and his wife Terri are active in their church, The Isle Of Hope United Methodist Church, where he has served on the Board of Trustees and was a former member of the Church Council. He makes yearly medical mission trips to Guatemala, sings in the Men's Chorus and the Chancel Choir. Terri sings in the Chancel Choir, directs the Ladies Chorus and is a Childrens Music director. She also enjoys performing in musical theater. Their son Charlie is an avid golfer and he and his dad enjoy playing golf, boating, jet skiing, fishing, and scuba diving. Dr. Smiley is your Savannah dentist!